As a big fan of turn-based strategies, I was extremely happy when Bravada by Interbellum Studios turned up in my inbox the other day. A game that gives you a path to move down, turn by turn, Bravada starts out looking a bit simple. And I won’t lie, it is. You control the whole party at once, with WASD moving them along this long channel about 10 tiles wide. Your party consists of the nameless hero of the game, and the troops that he picks up along the way. As they reach enemies, all the players on the board attack in their initiative order. 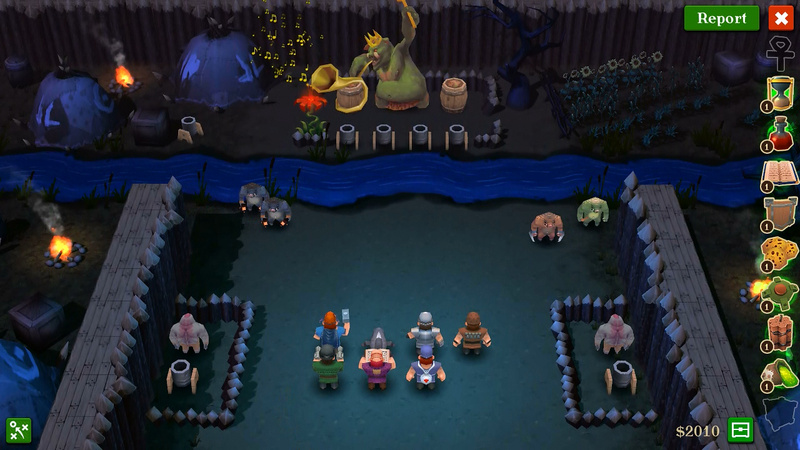 Arranging your troops to take advantage of this is a big part of how the combat works. This picking up of the troops, and arranging them in marching orders, is the entire strategy of the game. This works beautifully as it streamlines the strategy aspect, and makes it all about movement, taking away the micromanagement. While this could be bothersome for some, as somebody that likes focusing on the big picture made the game feel more manageable in scope, while also allowing me to pay more attention to the dialogue and subtle comedy of the game. 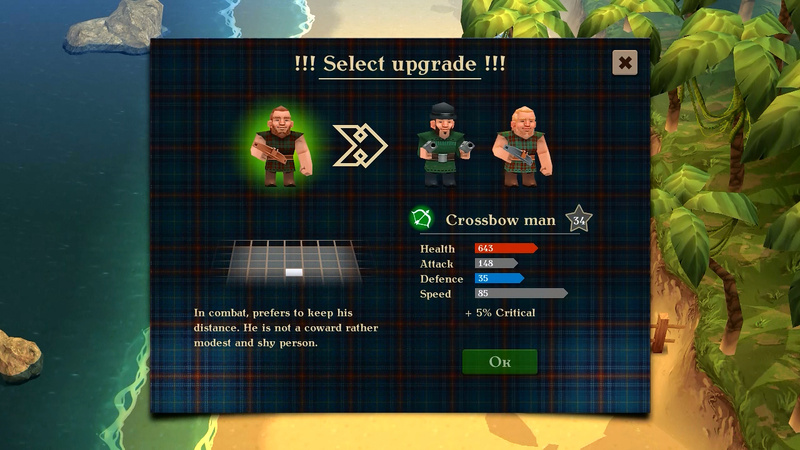 As soldiers win fights, they gain experience which allows you to upgrade them, adding on to the the team management part of the game and allowing a little more control over the people you’re fighting with. The models used in the game could be better, as they look dated. With that said, you don’t spend a lot of time looking at them in detail, and they look a lot better from the distance you view them from. This is also aided by the large variety of characters you can have in your team. You add soliders to your party by finding them while adventuring, or using an item to resurrect them after they’ve been slain, which allows you to add your enemies to your team. 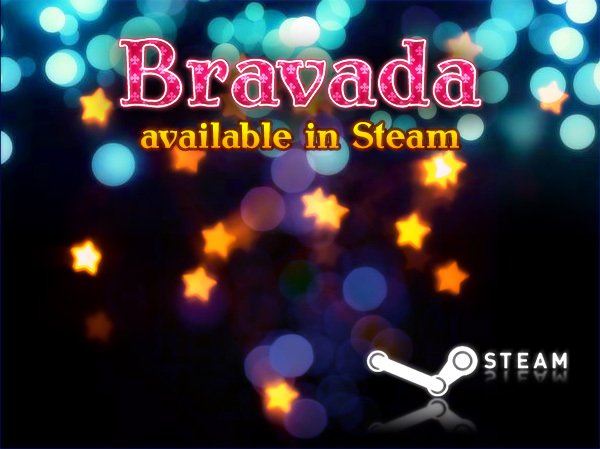 Musically, Bravada holds up well with a light musical score that keeps the battles exciting. If you’re looking for a game of light strategy and for a cheap price, I recommend picking up Bravada, which can be found on Steam for $9.99.